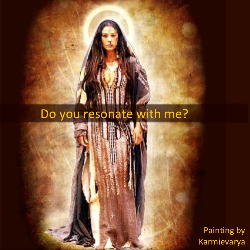 Do you resonate with Mary Magdalene or Mother Mary ? We raise her up. For in the time of #metoo, we need her. Many women feel unsafe in this world evidenced by the #metoo movement. To see #neveragain in our life-time, requires us to stop the deafening silence of the suppression of the Divine Feminine. 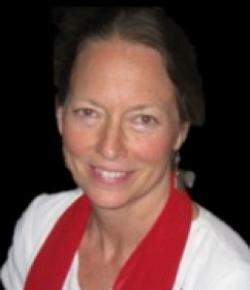 She needs you to agent in her message and demonstrate her teachings. She needs the Sacred Masculine to identify and support the work of rising the Divine Feminine. 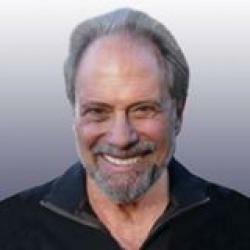 WE ARE EQUAL and now is the time to balance the Divine Feminine and the Divine Masculine to join in Love. We have powerful healing work to do! 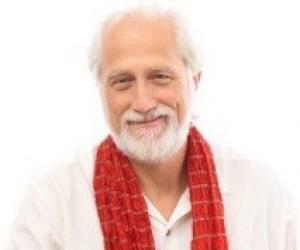 Join Us for Sacred Circle - Meditaiton - Emersion in the Healing Energy of the Divine Feminine! Sacred Music and Heartfelt songs with Denise Ruelas and Jai Josef. Magdalene and Mother Mary are calling women to gather to strengthen the presence of the Divine Feminine in the world. She calls on us to empower ourselves with Love. Men are invited to participate as well. Both understood who they were. When we recognize this truth in them, it is as if our DNA is re-written; allowing ourselves to know the same truth in us. 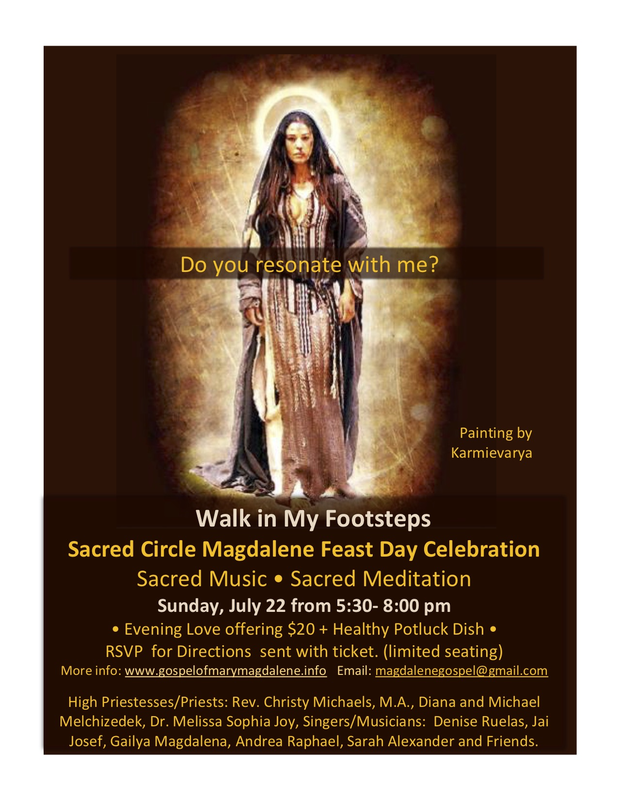 Join us in this powerful training sharing with amazing teachers to deepen and celebrate our connection with the Magdalene and Mother Mary. Open to everyone who loves the Magdalene. For those interested in being on her council you may wish to consider our offering to join us. Please write an email as to why you feel a Yes to being in service to the Magdalene or Mother Mary. Teachers: Each month at the online training a teacher will bring forth a teaching that will allow the new Magdalene Priestesses and sacred men to deepen their knowledge about Magdalene and Mother Mary.